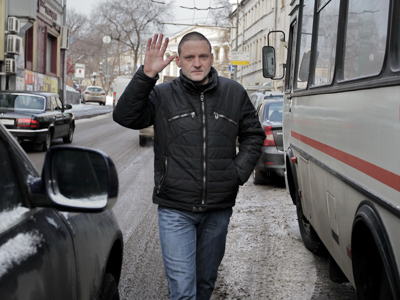 Sergey Udaltsov, the coordinator of the Leftist Front organization specializing on street protests, has gone on hunger strike after being sentenced to 10 days in jail for not complying with a policeman’s order. The news was reported by the activist’s lawyer on Twitter. 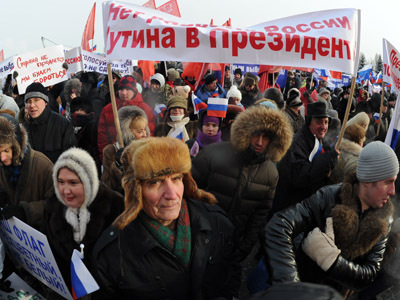 The day after the March 4th Presidential Elections Ulaltsov was detained with others during a rally to protest against alleged violations in the vote. 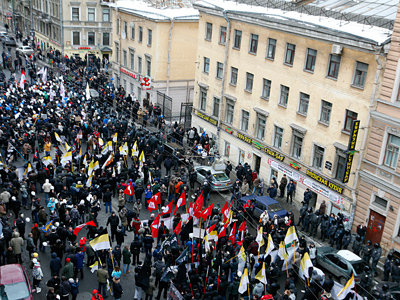 After the sanctioned protest rally ended the detained intended to continue with an illegal march through the city and did not follow the police order to disperse and get on the metro. They were all released on bail after several hours in custody and were given a travel ban while awaiting an appearance in court. Udaltsov told the court that he did not follow the police instructions because he considered them unlawful. “I consider the call to get into the metro illegal as there is no law with this instruction in it. That is why I consider all their demands unlawful. The case must be closed, this is my position,” the activist said.The judge had a different opinion on the issue. 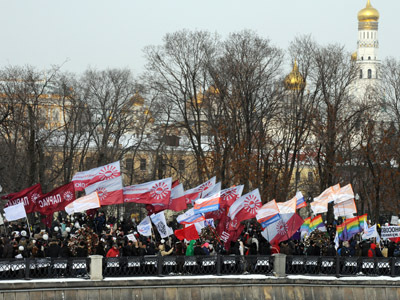 During the elections Udaltsov acted as an aide of Communist Party Presidential candidate Gennadiy Zyuganov. However, it was not Zyuganov, but the leader of the Fair Russia party, Sergey Mironov who said that he would ask the court to release Udaltsov on his personal guarantee. As Udaltsov’s arrest is a punishment rather than a prevention measure the law does not allow the release on guarantee.